The Catacombs of San Callisto contain about 11 miles of underground passages in 5 levels where early Christians were buried. You can only enter via a guided tour, which lasts about a half hour and is quite excellent, and has a variable waiting time. I waited about 30 minutes for my English tour when I visited the catacombs. Underground, you'll walk through several passageways lined on either side by walls that contain a niche every 4 or 5 feet, and which are stacked about 6 niches tall. People were laid to rest in these niches, and then the niche was covered with a marble marker that identified the dead, similar to a gravestone today. Those marble markers were stolen long ago for their value, and the bones were often removed, too. The 6-levels of niches were built by digging down just enough for what are the top few niches today, followed by a period of filling all those burial niches, then digging the floors lower for space for more niches. The volcanic rock being dug into was soft to dig into, but hardened into rock when air touched it. Several small chapels with various Christian decorations are encountered and explained along the tour. Outside the catacombs are decorative pine trees which I took to be the ones referred to in the Pines of Rome section of Respighi's Roman Trilogy. Nearby is the World War II memorial Fosse Ardeantine. I've read that it's suggested that you see one of the three catacombs in Rome, two of which are on the Appian Way, but not to bother visiting more than one. 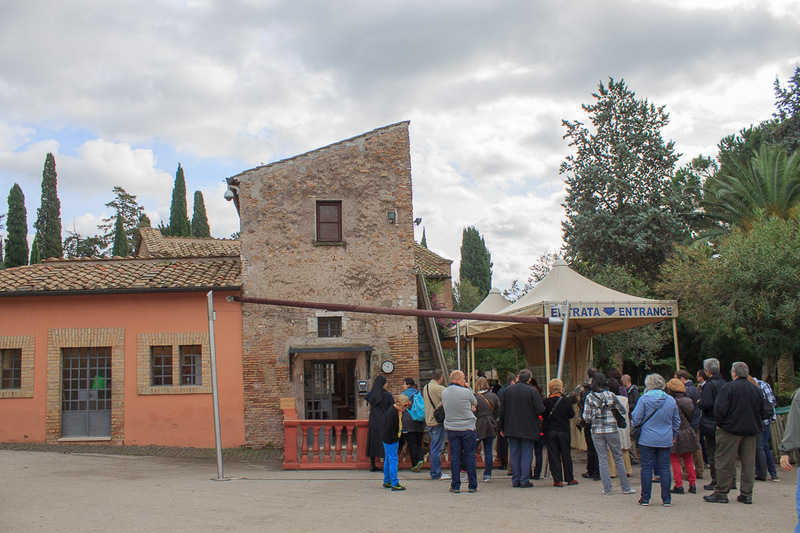 The other one on the Appian Way is the Catacombs of San Sebastiano, which is open on Wednesdays. The one not on the Appian Way is the Catacombs of Priscilla. 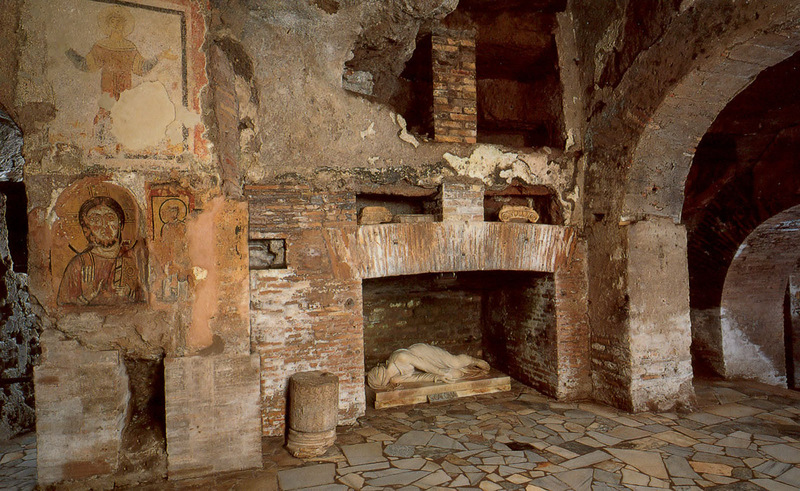 See all Catacombs of San Callisto photos.